Here's how to know your process conditions by calculating dead spaces, system lag time and pressure drop, and by simplifying a planned system and picking the right equipment. This article by process system expert and ISA fellow Ian Verhappen begins with the simple acronym KISS for Know your process conditions; Involve the right people; Simplify the system; and Select the right equipment. Read it here. If the analyzer in your analytical system requires gas, but your sample is liquid, the only option is to convert the liquid to gas. This process is called vaporization or flash vaporization. The objective is to convert a sample of all liquid to all vapor instantly—without changing the composition. It is not easy to vaporize a sample, nor is it always possible, so make sure it's really necessary and possible before you try. You should always analyze a liquid in a liquid phase unless there are strong reasons for analyzing in a vapor phase. For more on this tricky process, go to "How to Manage Vaporization in an Analytical System"
Choosing the right bus for your process analyzing system is not a simple matter. When you have hundreds of different data acquisition (DAQ) devices to choose from on a wide variety of buses, it can be difficult to select the right bus for your application needs. Each bus has different advantages and is optimized for throughput, latency, portability or distance from a host. This white paper examines the most common PC bus options and outlines the technical considerations to keep in mind when choosing the right bus for your measurement application. It's free, but registration is required. This white paper discusses challenges of online process gas analyzer implementations. 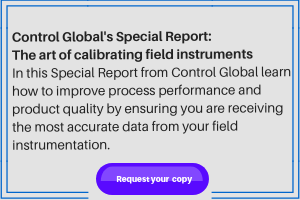 It offers examples as well as quantitative information based on historical experience of analyzer engineering and sample-handling details. The discussion includes front-end engineering design, detailed design for EPCs, system integration, selection of technique and vendor, factory acceptance testing, start-up, handover and lifecycle support strategies. For process analyzer system salvation, go to http://bit.ly/NyhRLR. This wiki on mass spectroscopy is from the University of California at Davis. Topics covered include quadrupole mass analyzers, time-of-flight mass analyzers, magnetic sector mass analyzers, quadropole ion trap mass analyzers, and ion cyclotron resonance. References are included. Here is the direct link. The purpose of this report is to provide ideas for application of process analyzers in petroleum refineries. The information is arranged by refining process. Included in this synopsis are applications which the authors believe will be economically feasible in many refineries. Some of the processes for which specific analyzers are suggested include crude distillation, catalytic reforming, fluid catalytic cracking, alkylation, catalytic polymerization, visbreaking, coking, hydrotreating and blending operations. Here's the direct link to the PDF. This website from Industrial Automation and Mechatronics contains a wealth of basic engineering material, tutorials, tables and glossaries. It covers everthing from basic equations to sections on control elements, PLCs, flow, pressure, temperature and level measurement, and an entire section on analytical measurement, including ionization, pH measurement, chromatography, optical analysis, safety gas analysis, vibration and more. The direct link is at http://iamechatronics.com/notes/lessons-in-instrumentation.